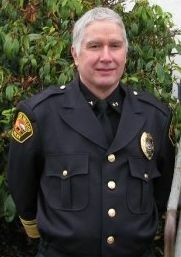 Chief Ralph Painter was shot and killed after responding to a local car stereo shop on Rock Crest Street in which a man was attempting to take a car that did not belong to him. When Chief Painter made contact with the man a struggle ensued. The subject was able to disarm and fatally shoot him. The man then exchanged shots with responding officers before being wounded and taken into custody. The subject pleaded guilty to aggravated murder in March 2019 and was subsequently sentenced to life in prison. On April 13th, 2019, the subject's half-brother fatally shot Deputy Sheriff Justin DeRosier with the Cowlitz County Sheriff's Office near Kalama, Washington. 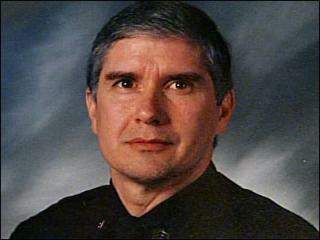 Chief Painter had served with the Rainier Police Department for 25 years. He is survived by his wife and seven children. 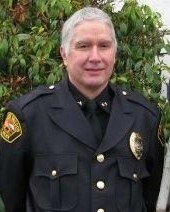 Chief, I grew up in Rainier and had the opportunity to meet you a few times. You always struck me as a courteous and thoughtful person. Though I grieved terribly at the time of your death, know that we haven't forgotten your sacrifice years later. I reflect upon it often. Over a year ago, I took up the mantle to become a police officer in Portland. I hope to serve the people of Portland the same way you served the people of Rainier: with compassion, dignity, and respect. We've got the watch from now on, chief. Rest easy.